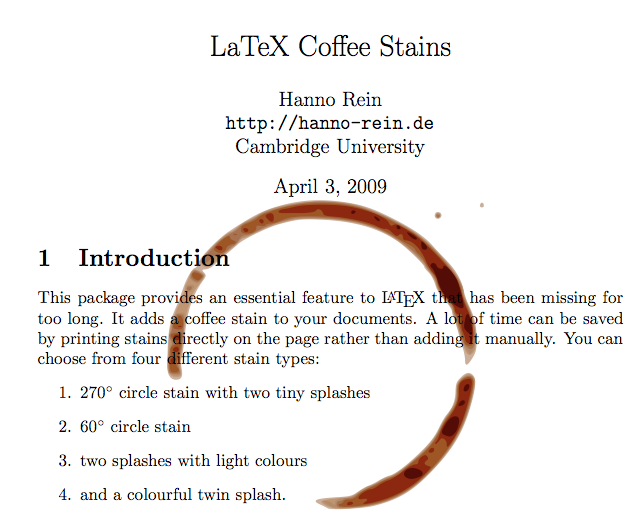 I know there are examples of clever and creative (and a bit silly) output coaxed out of otherwise quite sertious packages like TikZ, but I also wonder: Are there other packages, like Hanno Rein's coffee package, that demonstrate LaTeX's lighter side? What about Peter Wilson's sudokubundle? You can print, create and SOLVE! sudokus. 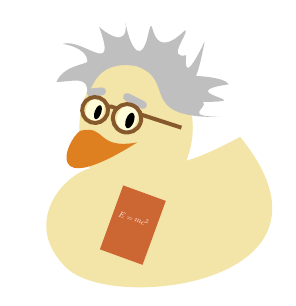 Not a package, but could be packaged pretty easily: beamerduck! The following presentation will show a progress by having a duck walk from left side of the screen to the right side, saying annoying things every once a while. You can of course replace the duck picture by any other animal (I am thinking about a man carrying a sack on his back. On specific slides, the ones I plan to spend more time on, I want to have him drop the sack to the ground and rest). % alternate as they move from slide to slide. Hope this counts. Cow font anyone :-)? It's part of TL Contrib. 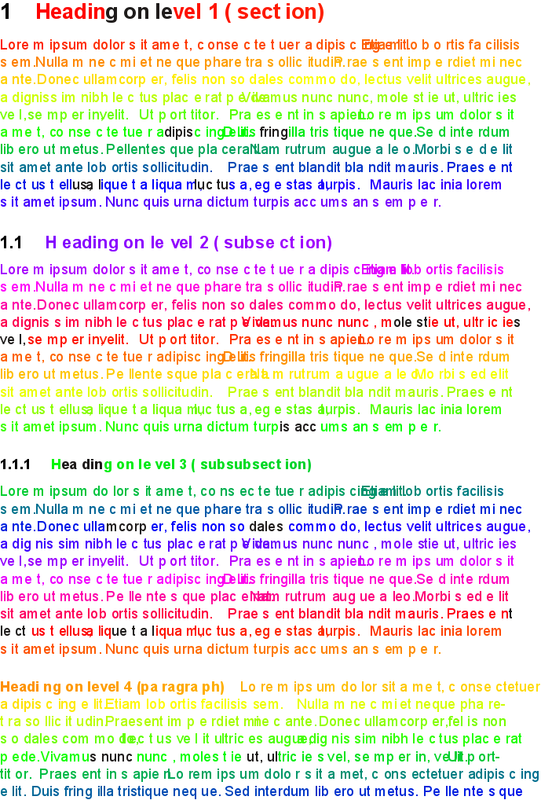 I like the chickenize package, which can do a lot of useless things, among others it can print in rainbowcolors. See yourself, works only with Lua(La)TeX. Well, there's always the package skull, which makes available a skull symbol for you to use in math mode. Fun, and of course extremely useful! The search "ducks are fun" yields 15,600,000 hits on google - so it seems evident that ducks are fun. 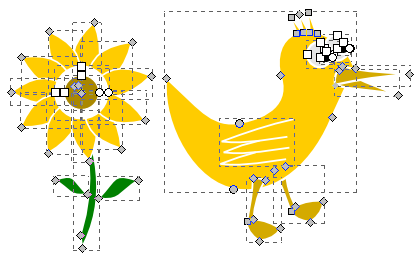 You can have fun drawing Feynman diagrams with the feyn package... or is that just me? In my opinion this is the most strange thing one can possibly do just for fun! Let's say we want to program our document in C on top of TeX. Then there would be the need to interpret the C semantics. Basically we would have to write a compiler for C in TeX. Not a very promising future, if you start this. But, we can use a normal C compiler to compile the C code to some simple platform. Like AVRs Atmega. Since I have other things to do than writing an AVR Emulator in TeX, here it is! Actually, I even considered using this (!). In one of my lectures, I present lots of small AVR programs on beamer slides together with their "output" on a specific device with some LEDs and a 7 seg display. I already have been using LaTeX macros to typeset the status of the LED array and the 7 seg display, so the interpreter could, given the binary code, automatically derive the parameters for these macros. A special listings environment could automatically invoke the C-compiler (via \write18) to generate the respective binary code. The result would be truly "self-contained" slides: Whenever I change the given example code, the typesetting of the "output" would automatically be updated. However, other deadlines were approaching, so in the end I dropped the idea. I like the Tower of Hanoi, classical algorithm problem, illustrated and computed, via LaTex. You know what would be cool? A package for torn paper! 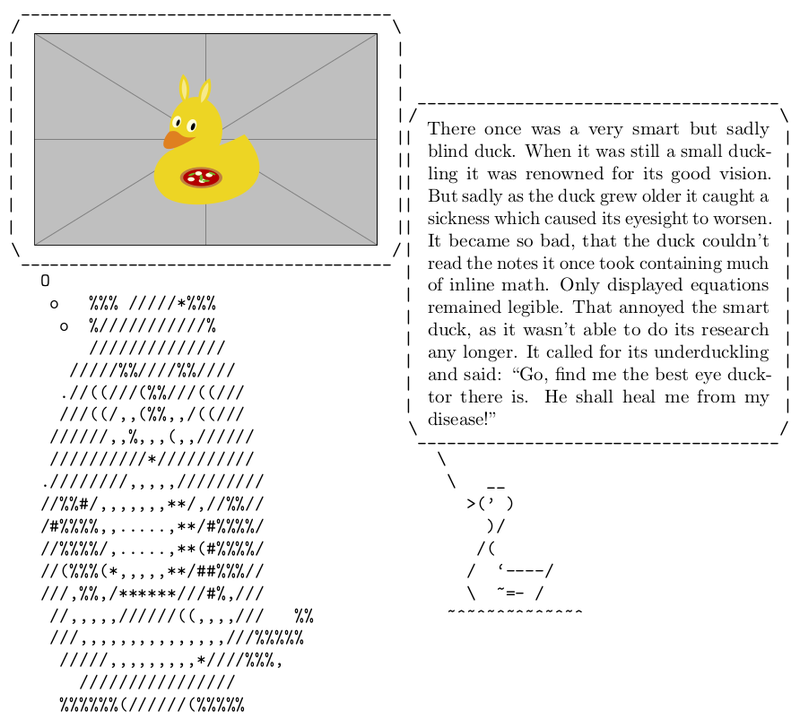 Since @samcarter has mentioned her tikzducks package, I thought that, perhaps, I could cite my halloweenmath package as well. Well, as you can see in some of the other answers, there are a lot of font packages out there with what some may call a questionable amount of uses. A lot of the fonts mentioned in the other answer, and some other "silly" fonts are grouped under the The font-novelty topic on CTAN. The font-invented topic on CTAN lists fonts for fictional/invented languages, it includes packages for Klingon and several of J.R.R. Tolkien's Middle-Earth alphabets. There are also typesetting support packages for some of these languages listed under the CTAN's lang-invented topic. LobLib is a TeX package for creating lobster themed documents and inserting a wide range of lobster images into papers. Not the answer you're looking for? Browse other questions tagged packages fun or ask your own question. Are there LaTeX packages able to plot Grace language files?